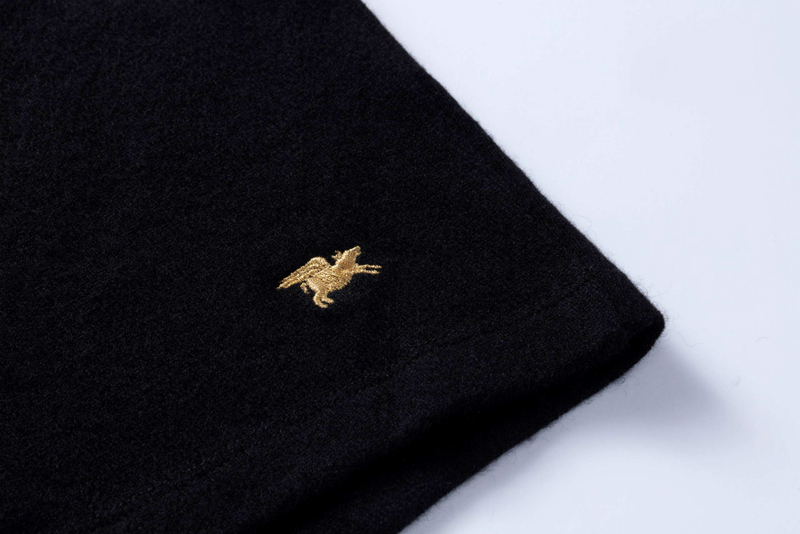 The thing every fashion and textile expert will tell you about cashmere is that you should only wash it when absolutely necessary—and when you must, that you should do it by hand, if possible. So while outerwear made from this noblest of fibres is common, you don’t often see things like men’s underwear fabricated from it. When you do, it’s usually blended with other materials that tend to behave better in a spin cycle. But Nice Laundry, the New York-based maker of men’s socks and underwear, changed that on Monday when it released a limited-edition pair of $1000 (about $1400) boxers made from the material—which are finished with a horn button closure and embroidered with 24-karat gold thread stitched to look like a flying pig. It’s the kind of indulgent wearable that only people with great means (and great senses of humour) are going to appreciate and, ultimately, purchase. Because, in all seriousness, when a sweater from cashmere king Brunello Cucinelli can be had for about $1,500, are these shorts even in the conversation? Even the company’s founder, Ricky Choi, has said the boxers “might be totally impractical,” but he still approached making them with every bit of rigour he puts into Nice Laundry’s more reasonably priced products. Nice Laundry’s stock-in-trade includes the kinds of everyday staples a man needs to get out of the house: its slim-fit boxers, on which the cashmere pair is based, are cut from a blend of cotton and spandex and go for $30 a pair; socks, which the brand is known for, vary somewhat, but you can get a box of six pairs with your monogram on them for around $135.